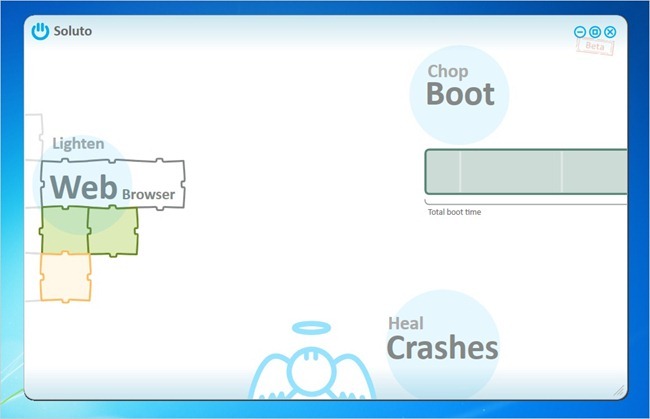 Troubleshooting an application crash is one of the most frustrating tasks , but now Soluto has upgraded their already-awesome boot-speed-up application with an application crash analyzer—and it helps disable browser add-ons too. If you haven’t installed Soluto yet, you should grab your own copy right now—if you already have it installed, you should be upgraded at some point today automatically. You’ll just need to restart Soluto to get the new features unlocked. Note: Soluto is completely free, and our friends at the company assure us that this application will be free forever. 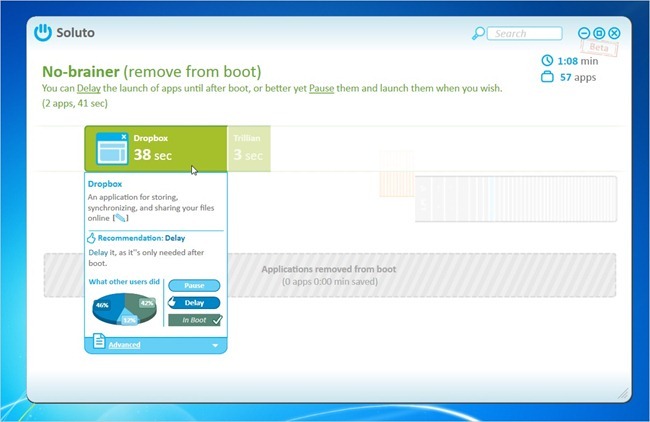 The previous version only helped you tweak your boot speed, but the new version has tools to clean up web browser add-ons, as well as analyze application crashes. The boot analyzer still works wonders—I was able to delay Dropbox on startup and reduce my startup time down to only 25 seconds. 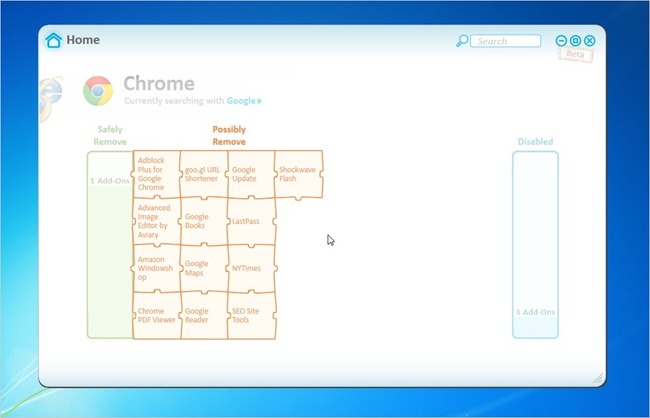 The browser add-on screen will let you quickly disable any of the add-ons installed into Firefox, Chrome, or Internet Explorer. 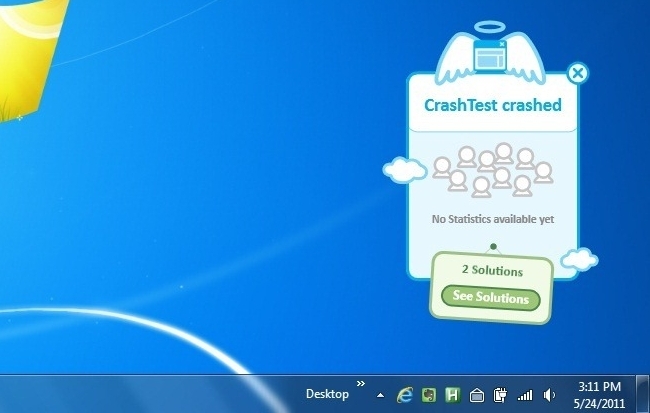 And the crash analyzer will track system crashes and in some cases, at least, give you solutions to the crashes. You’ll notice that there’s no solution for my VLC crash, and that’s because I only installed Soluto on this PC yesterday and haven’t had another crash since. Remember that annoying dialog that happens when an application crashes, that asks if you want to send a report to Microsoft? 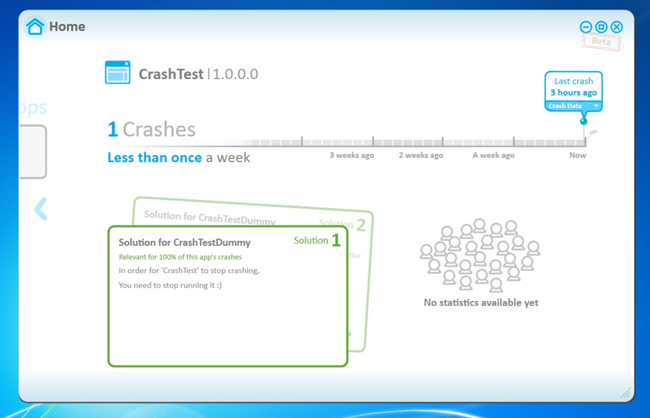 Soluto replaces that dialog with a cute little crash dialog that shows you a solution for the problem. In this example, I was using the crash test application—clicking the See Solutions took me right to the screen with the proper solution, which was to stop running the crash tester, of course. 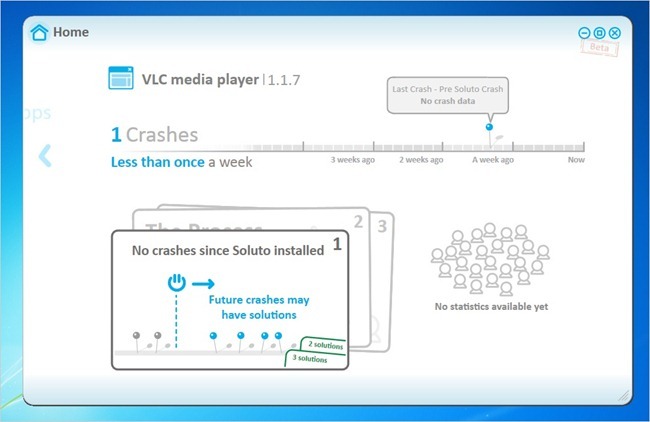 Keep in mind that some of the features, like analyzing crashes and startup time, will get better over time as Soluto collects more data on crashes and solutions. Note: if you aren’t seeing the new features yet, just wait a bit. They are rolling it out at 8AM EST today, so you should see the features enabled soon.